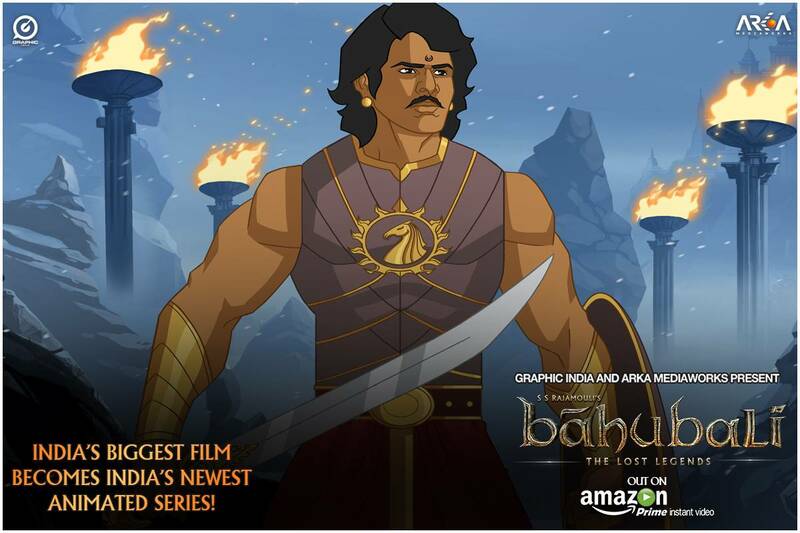 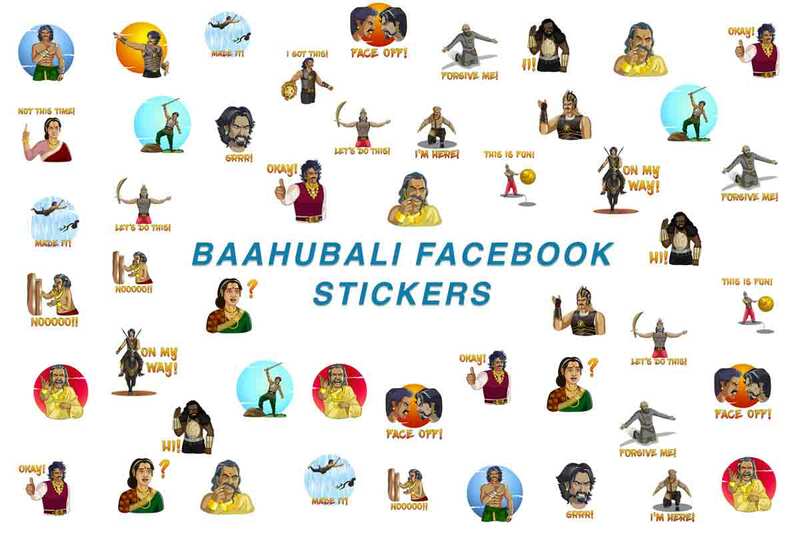 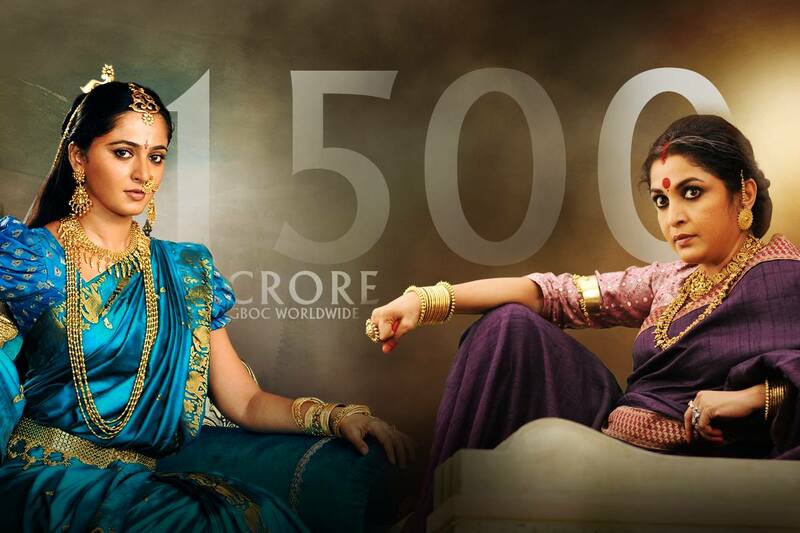 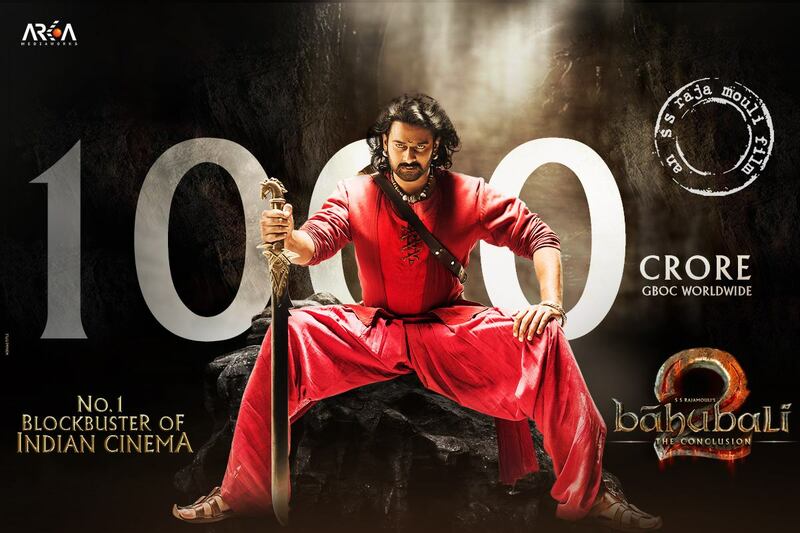 Keeping up with the momentum of things, Baahubali broke yet another record this Saturday. 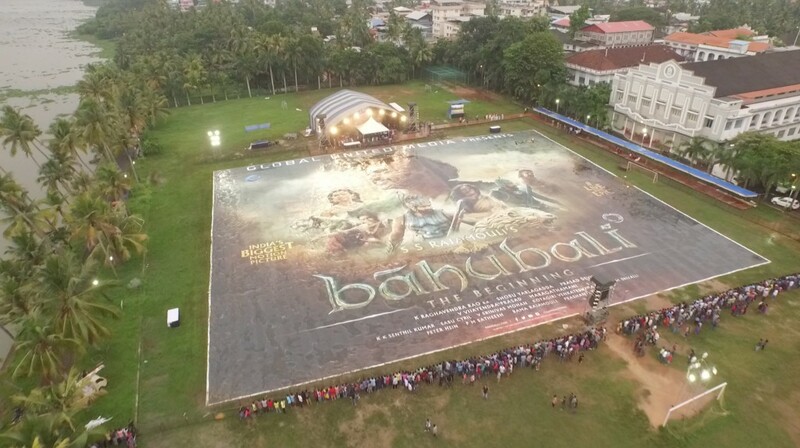 While in Cochin for a press conference and the Malayalam Audio Launch, the team unveiled the world’s largest poster of 51,000 square feet. 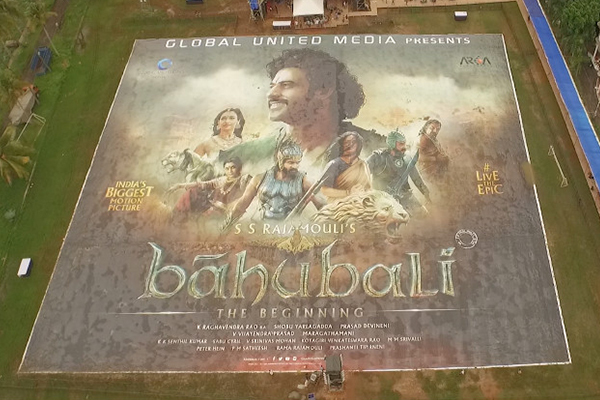 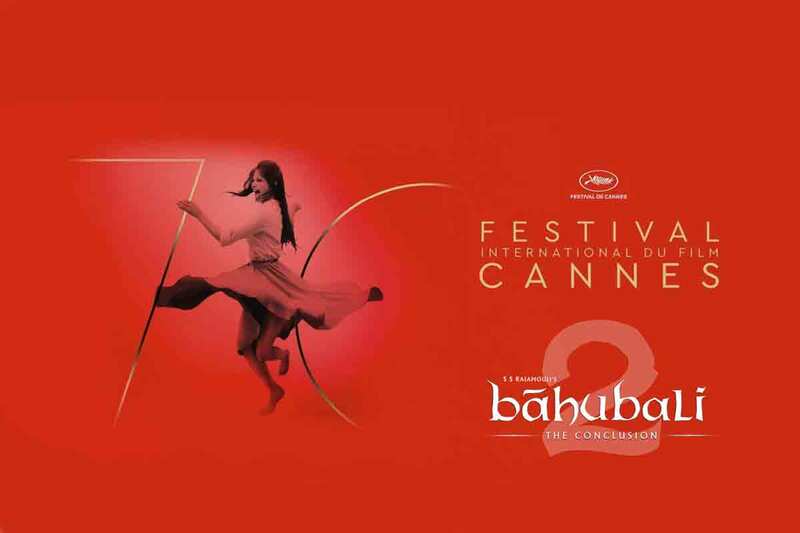 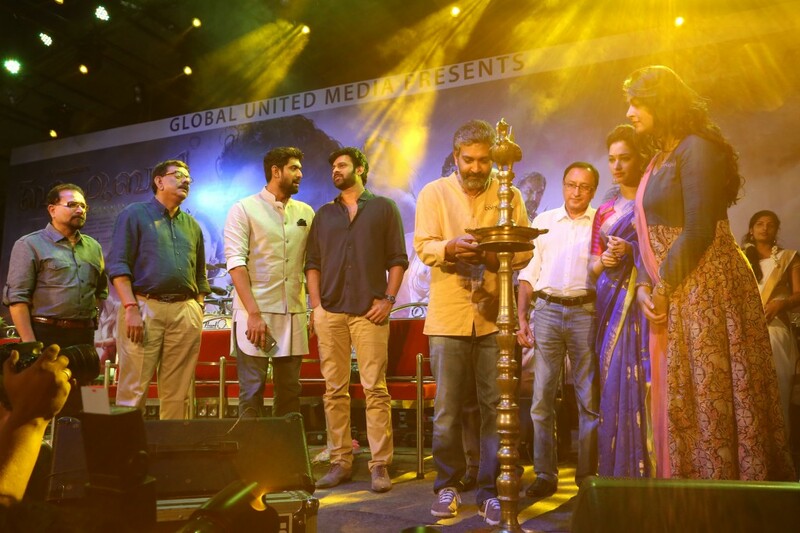 Rana Daggubati, Prabhas, Anushka Shetty and Tamannaah from the cast as well as our director, S. S. Rajamouli and production designer, Sabu Cyril from the crew were in attendance. 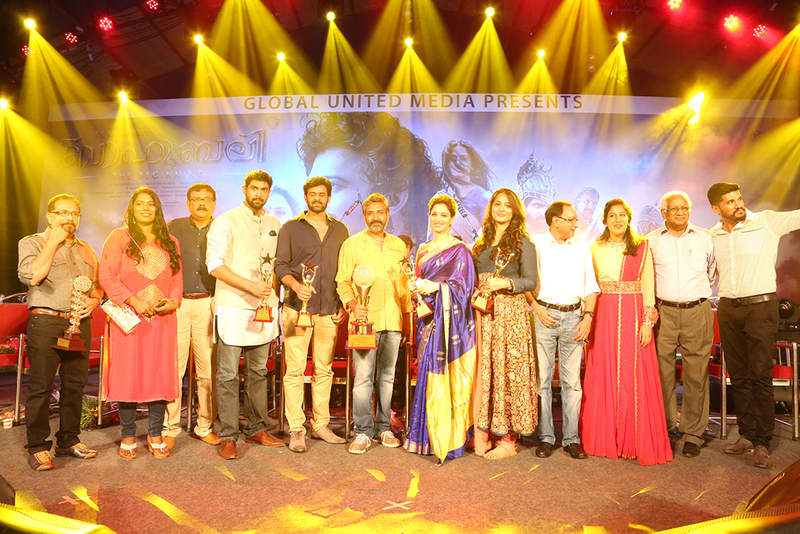 It was a proud moment for entire team!